This statistic presents the gross revenue generated by game sales on the Daum Kakao's gaming platforms from the first quarter 2014 to the third quarter of 2018. 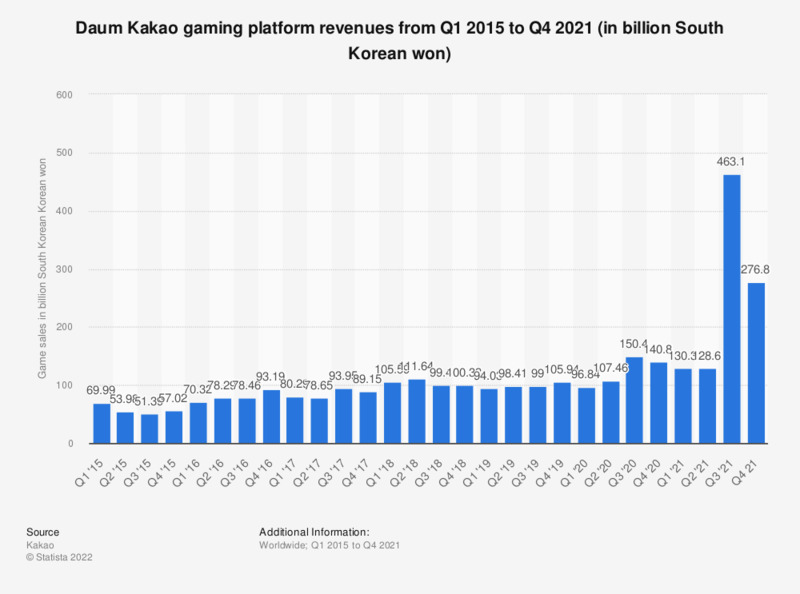 During the third quarter of 2018, Daum Kakao generated around 99.4 billion South Korean won of revenue from the gaming platforms. Note: 1,000 South Korean won equal 0.89 U.S. dollars and 0.89 euros (as of January 2019).